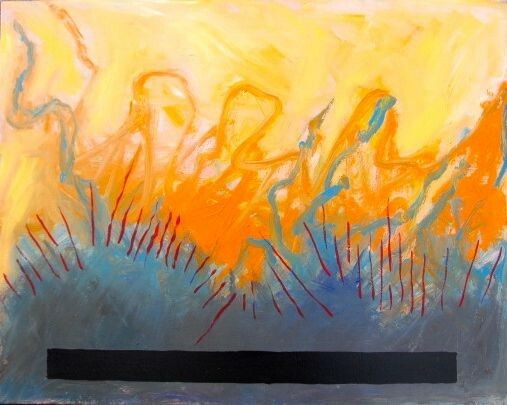 This abstract acrylic painting features expressive brushstrokes and vibrant colors, evoking the movement of fire, or a solar flare. The organic lines formed in orange contrast the more linear red lines that also snake their way across the canvas. The black horizontal bar at the bottom of picture suggests a need for a caption, or perhaps a question?